Some of you may have seen the campaign that TheCA.org.uk are running and the petition that they are looking to put to parliament highlighting the serious issue of poorly marked lobster pots and how they should be made safer for the safety of smaller crafts. Many people that are coastal cruising around the UK each year have reported that poorly marked lobster pots and fishing equipment are he most difficult and unpredictable hazard they face while they are out at sea. It isn’t only people cruising around the coast that are affected as fishermen are also reporting the loss of expensive equipment which they believe is a result of entanglements.These issues are not only dangerous and create difficulties, they can also be life-threatening.The RNLI dealt with 295 incidents of fouled propellers in one year alone, this is now becoming a common incident that they are dealing with and by making lobster pots and fishing equipment more visible the RNLI wouldn’t be called out to deal with so many of these incidents. One lifeboat station stated that 25% of their call-outs were purely from boats caught up in fishing equipment, so by having these items clearly visible and marked wouldn’t just save them time, but would save them money too.The actual figure of people caught up in this issue is probably higher as many people have admitted that they would try and sort the problem out themselves if they were to find themselves entangled, so this could be a fraction of the actual number of people affected by this issue per year. We agree with The CA and believe that it is time for everybody with a vested interest to come together and find a solution to this ever increasing problem. 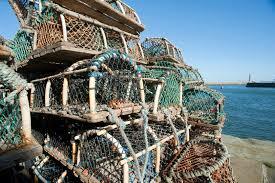 Ideally, the solution needs to be affordable and practical for our fishermen. With this aim, the CA hopes to secure a government consultation about the effectiveness of the current guidance and the merits of enforceable regulations for the whole of the UK. The MCA tells us that the same issue was raised at a recent meeting of the UK Safety of Navigation committee. RATS member, John Lansdell and Ian Wilson will attend the next meeting of UKSON in May. The CA has posted a petition on the No 10 website and they would really appreciate if you could have a read through and sign it. If you could then please pass this blog on and the petition to your friends, family and colleagues and inform them of this very important issue.